eatedly obey the natural cycles of expansion and contraction, while maintaining the fastener’s long term stability into the sub-floor and aesthetic features. The nail-down method is recognized by the world’s flooring Professionals as the most convenient, given the nature of real wood. It is also suitable to fasten engineered flooring products as well as some bamboo flooring. It meets Architects and Interior Designers expectations. Primatech is a specialized Canadian manufacturer of quality Fasteners for Hardwood flooring. Primatech is the manufacturer with the most innovative Research & Development program. 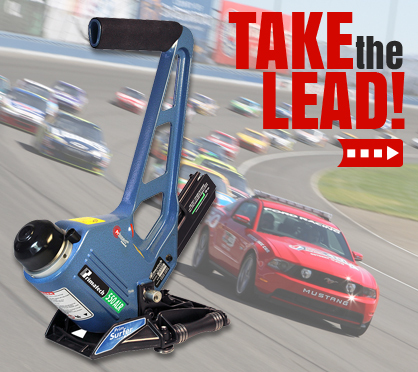 The Brand offers tools and fasteners in all industry sizes, manual and pneumatic. As a company or an individual, we all look for performance to take the Lead. From the latest technologically advanced PRIMPACT ™ engine with its 1.2M strikes to the “less-than-a-minute” jobsite maintenance, you will never want any other flooring tools. The Dual-Action and fully Adjustable base, which rests on the front of the tongue, prevents the top edge denting and minimizes the dimple effect on hard species and hi-glossy flooring. The Two-Way sideshift PRIMSURFER roller assembly gives you the ability to lay more square footage per day and helps your body recover faster from a hard day at work. Your wrist and back will thank you. The LoadXtend magazine holds more fasteners than any other tool in the same channel length , to let you load when you want, as needed. The Stapler Elbow magazine can hold up to 6 sleeves of staples (276) and makes for longer run without the need to stop. This is what we mean by “Taking the Lead”. 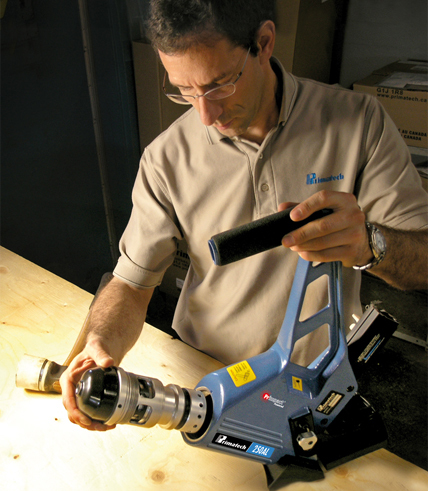 PRIMATECH has reinvented the flooring tools. Easier, Faster, Better. For YOU!